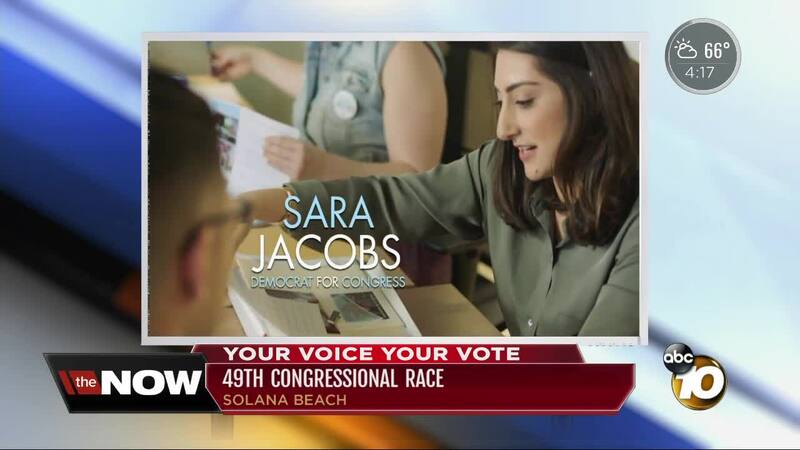 Democratic contender for the 49th Congressional seat Sara Jacobs is facing off with Doug Applegate, Mike Levin, and Paul Kerr. 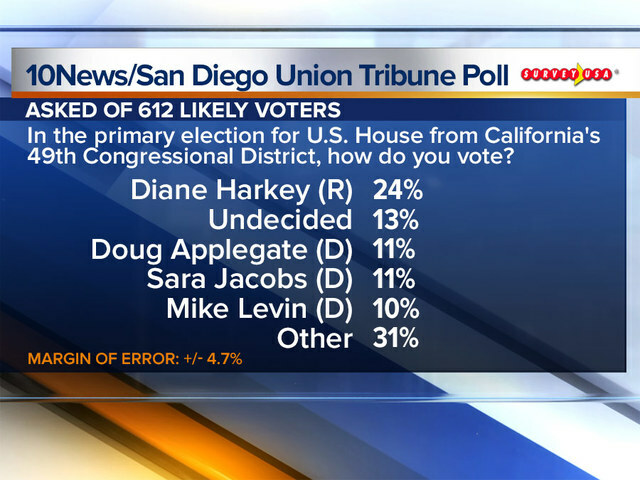 SAN DIEGO -- Diane Harkey is leading the race for Darrell Issa's seat in the 49th Congressional District by 12 percent, according to the latest poll. Harkey is likely to advance to the November election, but it's unclear who exactly she may face. 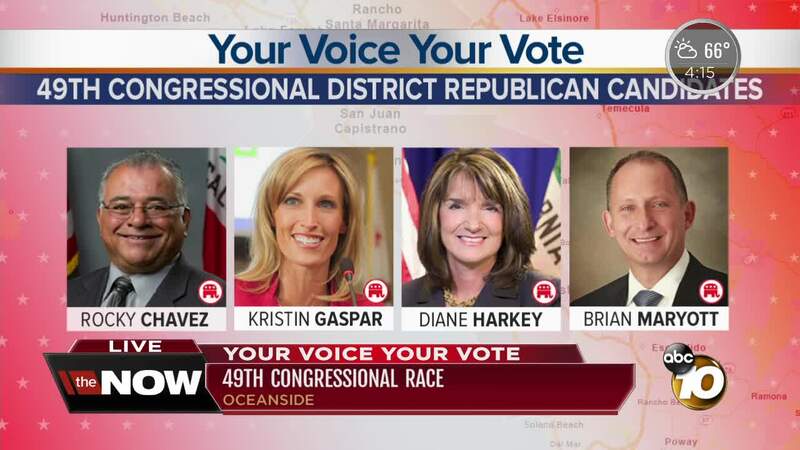 In a recent poll, Republican Harkey led with 24 percent followed by Doug Applegate with 11 percent of the vote and Sarah Jacobs who also claimed to 11 percent. Under state law, the top two finishers in the June Primary will face off in November, regardless of political affiliation.